From Assassin's Creed, to Rayman, Ubisoft almost always deliver not just ground-breaking visuals, but fantastic storytelling, and have brought us countless unforgettable worlds. Their latest game, Child of Light (which was developed using the same UbiArt Framework engine utilised in the development of the more recent Rayman games), is unlike anything we've seen from them before. Can they strike gold once more, with a brand new IP? Read our full review below to find out. 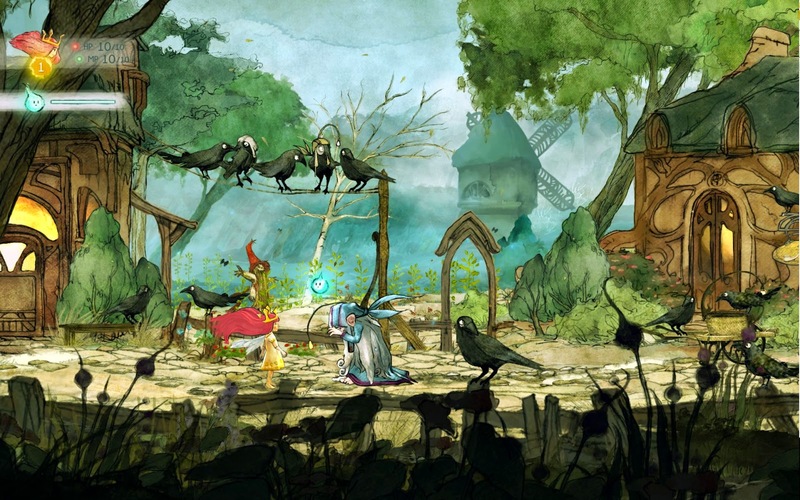 Child of Light tells the tale of Princess Aurora, who one day fails to wake up. Usually a young girl full of life, her apparent death is a huge shock, and her father struggles to deal with it. But all is not as it seems. Aurora didn't die, she instead woke up in Lemuria, a magical land in another realm. She was brought to Lemuria because she has a pure heart, and is the only one who can help. It was once a peaceful place, but the Black Queen stole the Sun, Moon and Stars, leaving Lemuria with no light. If Aurora ever wants to return home, she must find and return the light sources, and defeat the evil Queen. The story is told entirely in rhymes, for both the narration and speech. Most of the time, the rhymes work perfectly well, but now and then they seem pretty tenuous, and it feels like some of the lines could have been better. The soundtrack is also unforgettable, with quiet, solo piano tracks to huge orchestral pieces. It's almost reminiscent of the Zelda and Final Fantasy soundtracks, which are widely regarded as some of the best in gaming. The first thing to talk about has to be the aesthetics. It's stunningly beautiful, in every aspect. The world is all hand drawn, and every new location is somehow more breathtaking than the last. It is a 2D game, but there are multiple background layers, which give it a very convincing feeling of depth, and the vistas really are phenomenal. In the distance you can see huge giants and castles, down to small houses and animals. The character models for some characters are 3D, but they don't lose any of the charm that the hand-drawn art brings. Aurora's hair moves around as if it's underwater, flicking quickly as you move before slowing to a wavy motion as you stand still. Aside from Aurora, you meet a handful of other characters who join your party, all for different reasons. They each specialise in a different areas, from melee to magic, offensive or defensive, and you have to switch between them regularly to dominate the battlefield. Each new ally comes with a personal quest for you to complete, very much like the personal missions in the Mass Effect series. The combat system utilises an Active Time Battle system, which Final Fantasy fans should be aware of. Instead of simply taking it in turns, each character, friend and enemy alike, is represented by a small icon on a bar at the bottom of the screen. Their individual speed stat determines how fast they move along it, and as it gets close to the end, you choose an attack. Different attacks take different amounts of time to activate, and if an enemy manages to land an attack on you whilst you're charging yours, you'll get pushed way back down the bar. So there's a lot to think about during a battle, especially when fighting multiple enemies or a boss, but it never feels overly complex. It's very intuitive, even for gamers new to turn-based RPGs. To help on your quest to return home, you have Igniculus, the firefly. You control him separately to Aurora, and you do so with the right analogue stick. He isn't just your guide to Lemuria, he helps you to collect items, and can slow enemies down (both in and out of battle). Without his help, you'd probably lose many more battles, so it's important to remember to utilise him at all times. His power isn't infinite though, and if you use his light to daze enemies, it will eventually deplete. Glowing plants allow you to collect orbs known as wishes, which restore his power, as well as giving the characters in your party health and mana. There are a few light-based puzzles scattered throughout Lemuria, which require you to place Igniculus in a specific area in order to cast a shadow over a certain symbol or object. They're very simple, but they work really well, and fit in with the whole theme of light versus dark.You can also use Igniculus as a light source in dark areas, and the lighting effects are ridiculously good. If he passes through clouds or water, the light disperses more than usual, and it is honestly breathtaking. Aside from the main story, which mainly consists of traversing across new environments to find new towns and allies, there are many side-missions. They're all fairly unique, and you aren't told exactly what to do for each one, which is fantastic. Too many modern games hold your hand through every single section, which dramatically reduces the sense of satisfaction upon completion. Child of Light does no such thing, and it's all the better for it. 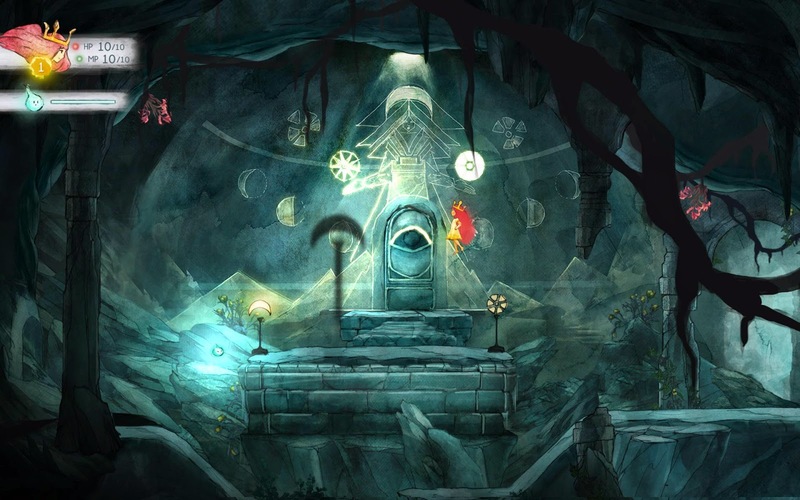 Child of Light is not only beautiful to look at, but the gameplay is spot on. The characters are adorable, the environments lush and the combat is challenging, but not overly so. Once more, Ubisoft have created yet another title that they should be incredibly proud of, and it proves that it's not just sequels that they excel at. 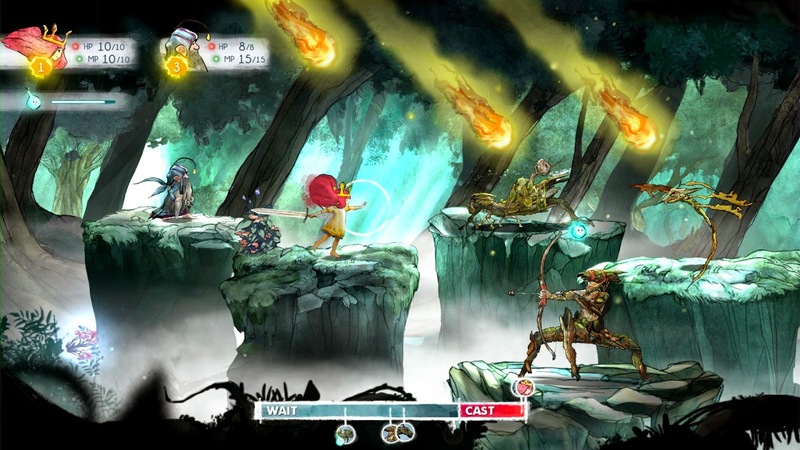 Child of Light is one of the best new IPs that we've seen this year. Every aspect of it is unforgettable, and you should absolutely find time to play this game. What a great and full review! I really wonna play that now! You can check out some of my video games reviews as well.